Addressing a Press Conference on the occasion of “International Day of Persons with Disabilities (3rd December)” Thaawarchand Gehlot, Minister of Social Justice and Empowerment has said that in the “Rights of Persons With Disabilities (RPWD) Bill, the Disability has been defined based on an evolving and dynamic concept and the types of disabilities have been increased from existing 7 to 21 and the Central Government will have the power to add more types of disabilities. He also said that Speech and Language Disability and Specific Learning Disability have been added for the first time. i. Responsibility has been cast upon the appropriate governments to take effective measures to ensure that the persons with disabilities enjoy their rights equally with others. ii. Disability has been defined based on an evolving and dynamic concept. iv. Speech and Language Disability and Specific Learning Disability have been added for the first time. Acid Attack Victims have been included. Dwarfism, muscular dystrophy have has been indicated as separate class of specified disability. The New categories of disabilities also included three blood disorders, Thalassemia, Hemophilia and Sickle Cell disease. v. Additional benefits have been provided for persons with benchmark disabilities and those with high support needs. vi. Every child with benchmark disability between the age group of 6 and 18 years shall have the right to free education. vii. For strengthening the Prime Minister's Accessible India Campaign, stress has been given to ensure accessibility in public buildings (both Government and private) in a prescribed time-frame. viii. It has been proposed to increase reservation from 3% to 4% in Government jobs for certain persons or class of persons with benchmark disability. ix. The Bill provides for grant of guardianship by District Court under which there will be joint decision – making between the guardian and the persons with disabilities. x. Broad based Central & State Advisory Boards on Disability have been proposed to be set up as policy making bodies. xi. Strengthening of the Office of Chief Commissioner of Persons with Disabilities and State Commissioners of Disabilities has been proposed, which will act as regulatory bodies and Grievance Redressal agencies and also monitor implementation of the Act. These Offices will be assisted by an Advisory Committee comprising of experts in various disabilities. xii. 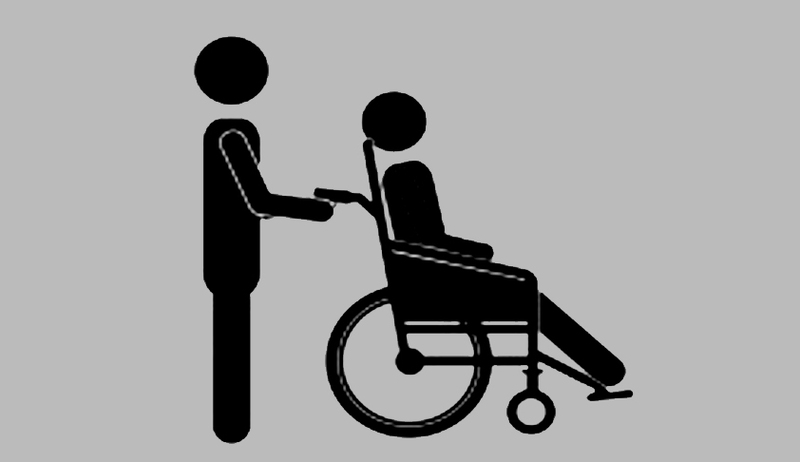 Creation of National and State Fund has been proposed to provide financial support to the persons with disabilities. xiii. The Bill provides for penalties for offences committed against persons with disabilities. xiv. Designated special Courts have been proposed to handle cases concerning violation of rights of PwDs. The Union Cabinet in its meeting held on 30.11.2016 approved the proposal of the Department of Empowerment of Persons with Disabilities (Divyangjan) to incorporate these amendments in the Rights of Persons with Disabilities Bill, 2014 during the ongoing winter Session of Parliament. The new Bill with amendments proposes to repeal the existing Persons with Disabilities (Equal opportunities, Protection of Rights and Full Participation) Act, 1995.